Industrial automation and control systems (IACS) used in manufacturing and process automation are increasingly implemented within internal and external company networks. Increased data transfer between systems and networks increases susceptibility for security threats. On the one hand, manufacturers seek sufficient protection against manipulation and interference during product development and integration. 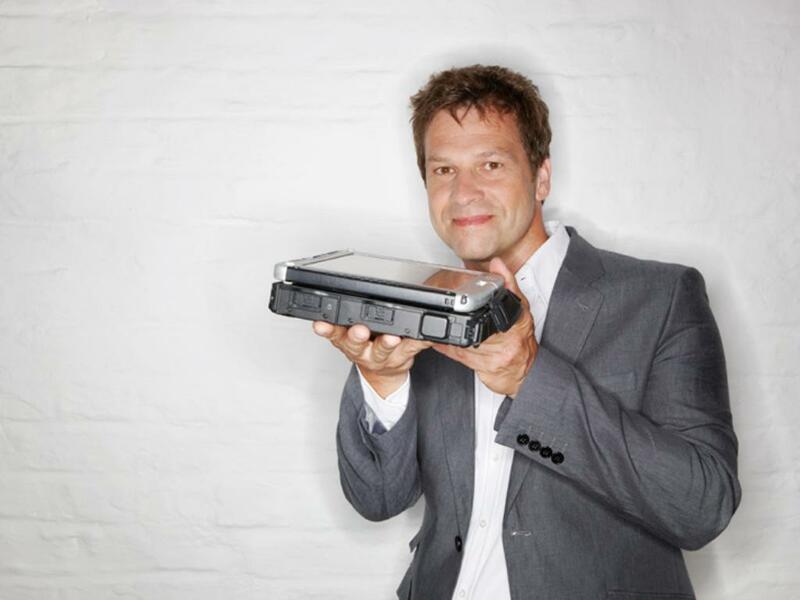 On the other hand, system integrators need secure IT infrastructures and service processes. We provide comprehensive assessment and certification services for your IACS and components, and evaluate your defense in depth strategy in order to achieve compliance with internationally applicable safety and cyber security standards. Prevent internal and external unauthorized access to your IACS with our expert support services and ensure the availability and integrity of your control systems and components. Rely on our global excellence and long experience in functional safety for your industrial automation applications. Contact an expert to learn more about cyber security. Detect risks and threats arising from components and systems early to strengthen security of your infrastructure. Prove your product or system design and development compliant to relevant, state-of-the-art worldwide standards and to applicable safety and security levels. Boost customer confidence in your products from the development phase to the integration to stay competitive in demanding markets with our certification and test mark. We provide a wide range of services to ensure cyber safety and security of your industrial control systems and products. In addition to functional safety standards, we assess, certify and train in accordance with the IEC 62443 and ISASecure EDSA standards. Our workshops and trainings give attendees an overview of security requirements affecting the design, implementation and testing of IACS and components. 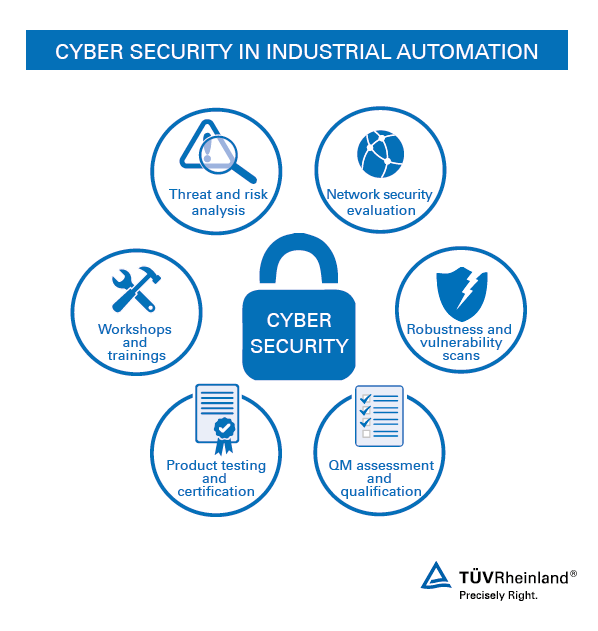 Training participants who fulfil defined requirements and successfully pass the exam are awarded the TÜV Rheinland “Cyber Security Professional” certificate. Our international network of experts works for you in a one-stop shop strategy to provide solutions tailored to your needs. We issue certification demonstrating compliance to the IEC 62443 and ISASecure standards. Profit from our reputation as a reliable partner to gain competitive advantage and access global markets with a respected certification. Use our test mark to distinguish your products or systems as cyber security protected. Make sure your industrial control and automation systems are secure. Speak with a service representative today!